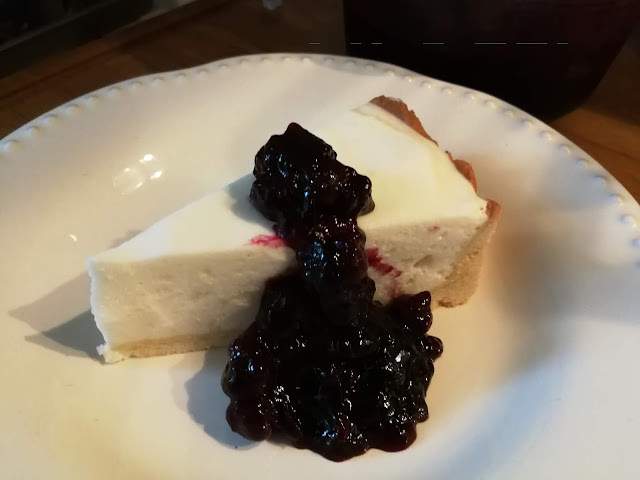 This wonderful dessert was invented by Chef Frank Brigtsen of Brigtsen's Restaurant in New Orleans. It is a fusion of two of the most iconic desserts of the Crescent City: Bananas Foster and Bread Pudding. Thank you Gumbopages.com for sharing it with the World. Note: Instead of day-old French bread, I used day-old brioche. Preheat the oven to 300F. Put the French bread pieces into a 9x12x2 inch baking pan. In a blender or food processor, blend the eggs, milk, 2/3 cup of sugar, bananas, cinnamon, nutmeg and 1/2 teaspoon of the vanilla until smooth. Pour this mixture over the French bread pieces. Fold in the raisins and the pecans and let the mixture set for 20 minutes. Top with small pieces of the butter. Cover the pudding with aluminum foil and place the pan into a larger pan. Add warm water to a depth of 1 inch in the larger pan. Bake for 1 hour. Remove the foil and bake uncovered for 15 minutes until set. In a deep, medium bowl, whisk the cream just until it begins to thicken. Add the remaining 1 tablespoon of sugar and 1/4 teaspoon vanilla. Continue whisking unti soft peaks form. Cover and chill. Heat a large saute pan or skillet over low heat. Add the butter, sugar, bananas, cinnamon and nutmeg. Moving the skillet back and forth, cook until the butter and sugar become creamy and the bananas begin to soften, about one minute. Remove the skillet from heat and add the rum and the liqueur. Return the pan to the heat. Tilt the pan, avert your face and and light the liquid with a long match. Shake the skillet until the flames subside. Add the vanilla, remove from heat and keep warm. To serve, place a large scoop of bread pudding in the middle of each serving plate or bowl. Place 2 slices of banana on each plate and top with about 3 tablespoons of sauce. Spoon the whipped cream over the bread pudding and serve immediately. So much was lost when Katrina hit New Orleans in 2005. Lives, homes, jobs,... but also the little things that we hold dear to our hearts: photo albums, treasured heirlooms or beloved recipes. The Times-Picayune collected and published some of the latter that people went looking for in the years that followed Katrina. Mandarin Chicken was one of these recipes. This clipping was sent to us by my partner's stepmother a few years ago. Since then, we have received nearly a hundred requests to share this recipe. Note: Every Chinese restaurant in New Orleans has its own version of Mandarin sauce. It seems to us that this one needs a few pinches of Chinese five spice in the sauce. Also, it is usually served with crushed peanuts and chopped scallions sprinkled on top. This recipe comes from Fong's Chinese restaurant in Kenner. Last month, my partner and I spent a few days in Paris. 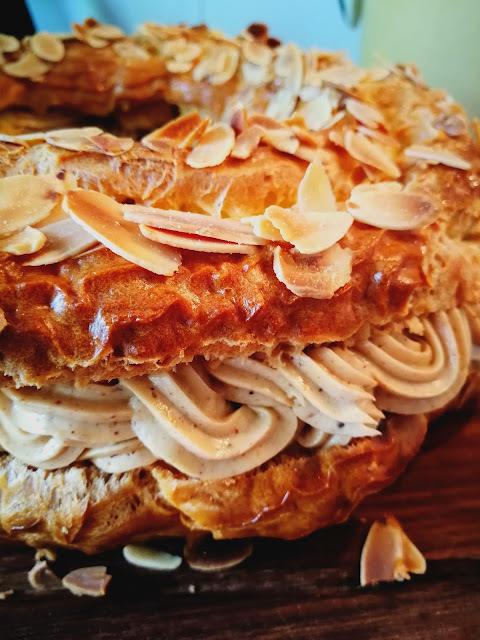 One day, we stumbled upon this remarkable bakery on Rue Saint-Denis which sold, among other delicious pastries, an enormous Paris-Brest cake by the slice. It was so good that we went back for more the next day. Paris-Brest is a delicious choux pastry filled with a hazelnut "mousseline" cream, and it involves one hard-to-find ingredient: praliné (hazelnut-almond paste). This recipe is great because it shows how simple it is to make your own praliné. It is an extra step you can do without if you can good quality praliné in a jar, but it was well worth the effort.